Will AI dramatically accelerate the division of our society into the “elite” and the “worried rest”? For example, will there be highly effective personalized medicine that only very few can afford? Will AI take over the automatable jobs of the middle class, while the highly qualified elite maintains or even expands its positions of power? Alternatively, might AI offer opportunities for independence, health and a long life without economic constraints for a large part of the population? These questions are currently being discussed in the media, in workplaces, and on both private and political levels in a highly controversial and emotional way. As you might expect, this discussion is not always balanced or realistic. There is currently no clear answer to the question of how many and which jobs will be created or lost through AI and automation. One thing is certain: our jobs will change. We will also have to redefine the role of work in our lives. Creating the framework for this is primarily a social and political task that we all can and must work on (and I am among the optimists who believe that dystopia is unlikely). This, however, requires a much more factual debate. I have therefore been asking myself what contribution I can make to that, and how this development is perceived by young people who are just starting their careers. As luck would have it, I recently met Mirjam Baldas, who has just graduated from the International Management degree program at the Free University of Amsterdam. 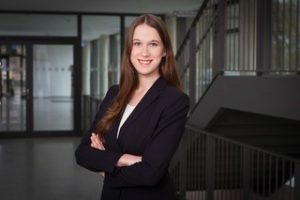 Mirjam is not only at the start of her career, but she is so keenly interested in this subject that her thesis was on the impact of AI on the labor market. I talked to her about her research. Andreas Becks: Mirjam, in your thesis, you dealt with the question of how the influence of AI on the working world is publicly perceived. What was your personal motivation? Mirjam Baldas: The curse and blessing of new technologies is currently being discussed right across the media, and the topic of artificial intelligence (AI) is omnipresent. When I was reading about the subject, however, I realized that this public debate is becoming much more polarized. On the one hand, there is an enthusiasm for technology that goes so far that AI is being treated as a universal panacea to global problems such as hunger and climate change. On the other hand, however, we see a growing group of people feeling increasingly threatened by these technologies, for example, because of job losses or surveillance. Of course, there are a wide range of opinions between these two extremes, but my impression was that the debate is really focused on these two camps, and developing into what you might call ‘bubbles of opinion’, with relatively little exchange between the two. I wanted to find out how different professional groups viewed and experienced the impact of AI on the world of work. Of course, I also have a personal interest. I am starting my working life at a time when the world of work is being hugely changed by new technologies, and smart applications are taking more and more tasks away from people while opening up new fields of work. So, I was personally very interested in how different players in the IT industry rate the labor market of the future. Becks: How did you approach the question? Baldas: I interviewed people from different professions who are in some way professionally involved with AI. These included developers, IT consultants, managers of leading IT companies, and scientists involved in AI research. I asked them about their professional and private use of intelligent tools and programs, and then about the opportunities and risks of AI as well as future forecasts for the labor market. My interviews showed that the way we perceive the impact of AI on the workplace is very much dependent on our profession, and particularly how close that profession is to the heart of the technology. Becks: So you correlate the respondents’ professional backgrounds with their assessments. What is the most important insight? What surprised you? The interviewees who dealt most closely with the development of AI had very different perceptions of the risks and opportunities involved. Interviewees who were further away from the technology had much more extreme views of the future, both positive and negative. Baldas: Yes, that’s right. The interviewees who dealt most closely with the development of AI had very different perceptions of the risks and opportunities involved. Interviewees who were further away from the technology had much more extreme views of the future, both positive and negative. I was particularly surprised by my discussions with developers, where the difference between private and professional use of intelligent tools was especially significant. Often, those who were directly involved in the development of new technologies professionally were very cautious about their use in private, for example about voice-controlled assistance systems. Becks: You have made a big contribution to objectifying the emotional debate about the impact of AI on the job market. How did you systematize the currents, opinions and aspects of public discussion and the media? Baldas: The fear of many is that the increasing use of AI and automation will lead to more and more short-term jobs. It’s not helped by the media’s obvious need to generate interest, using titles such as “Artificial intelligence: which jobs are still safe?” (Wirtschaftswoche, 2014). It’s ‘click-bait’, and they are mixing together several factors into a single, highly simplified statement just to generate interest. To identify and illustrate the real impact on the labor market, I have developed a model that maps out findings from recent studies on the impact of AI and automation on the labor market using the rules of system dynamics. This approach can help us to look at different factors and their individual impact on the labor market, and to make forecasts for the labor market, as well as to identify and address areas for action. Becks: What can we in companies do to promote a balanced discussion of the possibilities and effects of AI? Baldas: My results show that our professional positions have an influence on how we assess the topic of AI. Acknowledging this bias is the first step towards a substantive debate. In the next step, companies need to start to facilitate and promote real discussion, bringing together various stakeholders. It is not so much about the ‘facts’, as creating a two-way flow of information. Employees who are not directly involved in the development of AI need to stay up-to-date to prevent false information getting to end users. 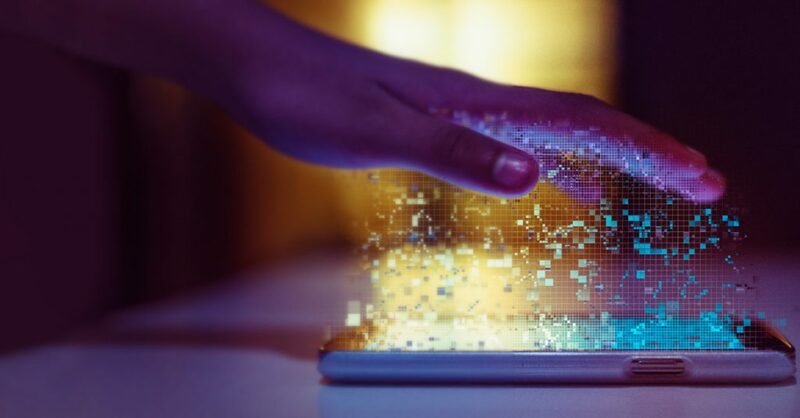 Salespeople and consultants, through their direct end-to-end customer contact, can provide developers with valuable information about how expectations and fears about AI are developing in the marketplace. This means that we can ensure that both excessive expectations and horror scenarios are directly subjected to an internal reality check. In the end, this enables a factually balanced discussion, and also the development of customer-oriented solutions. Becks: Mirjam, thank you very much for talking to me! Mirjam Baldas’ master thesis can be downloaded here.